Amanda Palmer has become somewhat of a controversial figure, or at least was a few years ago. I get the impression that, when she married Neil Gaiman, a lot of his fans weren’t all that happy about it, and judged her based pretty much entirely on out-of-context comments she made. Hey, I’m skeptical of celebrity marriages myself, but the two of them seem to be working out all right. I don’t know her personally, but Amanda generally comes across as friendly and talented. The Art of Asking, or How I Learned to Stop Worrying and Let People Help, by Amanda Palmer – I’d been wanting to read this, as I generally find Amanda interesting. The book is sort of a memoir about her career and relationships, and largely a defense against her critics, as well as her own self-doubt. She writes in a way that makes it easy to sympathize with her even if you don’t always agree with her points. The title relates to how she sometimes has trouble asking for things, but came to realize that this is more or less the basis of society, particularly when it comes to artists and entertainers. Amanda was one of the first musicians to embrace Kickstarter for funding, and it’s apparently worked out quite well for her. She argues that a lot of people WANT to pay artists even if they have the option not to. She definitely trusts people a lot more than I do, and I have to wonder if this philosophy has worked out for others who weren’t as established as she was. But anyway, like her songs, it comes across as very open, sometimes very sad and sometimes funny or uplifting. 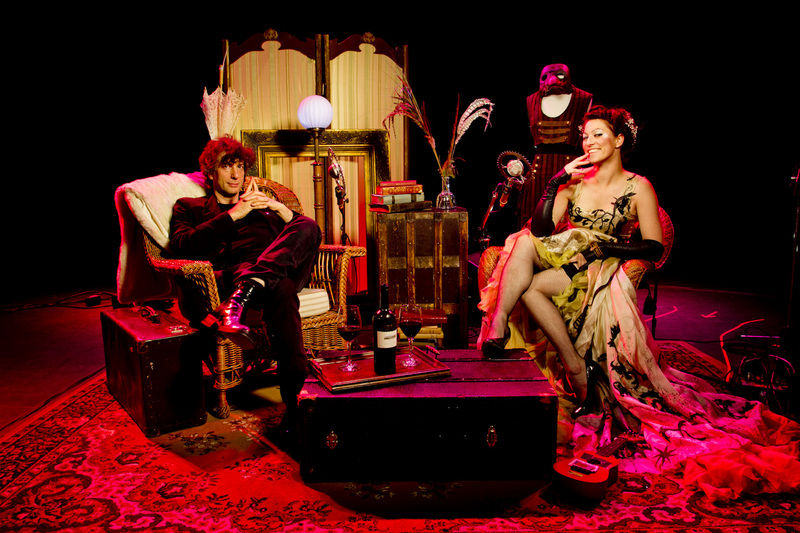 An Evening with Neil Gaiman & Amanda Palmer – Another Christmas present, this was a three-CD collection recorded at some shows the husband-and-wife team performed together. It lists five different shows as sources, and I’m not sure how they arranged the tracks. Assuming it wasn’t in chronological order, I wish they’d mixed it up a little more between Neil’s stories and Amanda’s songs. As it is, the entire first disc is stories, and they’re generally not as easy to listen to as songs. The one I remember particularly liking was one Neil wrote for Ray Bradbury. The second has an introduction by Margaret Cho and a mix of things, including poems Neil and Amanda wrote for each other and a duet between them of a ukulele-based “Makin’ Whoopee.” The final disc is pretty much all Amanda’s songs. I forget if I’d heard “Ukulele Anthem” before, but it’s a lot of fun. This entry was posted in Albums, Amanda Palmer, Authors, Book Reviews, Music, Neil Gaiman and tagged kickstarter, margaret cho, ray bradbury, the art of asking. Bookmark the permalink. I was a fan of both of them for several years before they were married (Neil for his writing and Amanda for her work with the Dresden Dolls and then her silo work). We also owned the Who Killed Amanda Palmer coffee table book, which was their first collaboration and how they met. So I am familiar with the subject. :) We seen them together for An Evening With Neil & Amanda in NYC. They seem pretty awesome as a couple. The songs are arranged based on the image on the CD. The disk situated where Neil is in the image is the Neil centric disc, the same for the one with Amanda. The disc situated over the image of the table between them it’s the one with both of them. I was somewhat familiar with Neil’s work, as I read Good Omens when I was in college, but I was more a fan of Amanda’s. I actually bought that coffee table book at a show on my birthday, and Amanda drew a cake in it for me. That makes sense as far as the arrangement of songs go, although I might have switched them up a bit. Oh, well. Not my decision to make.